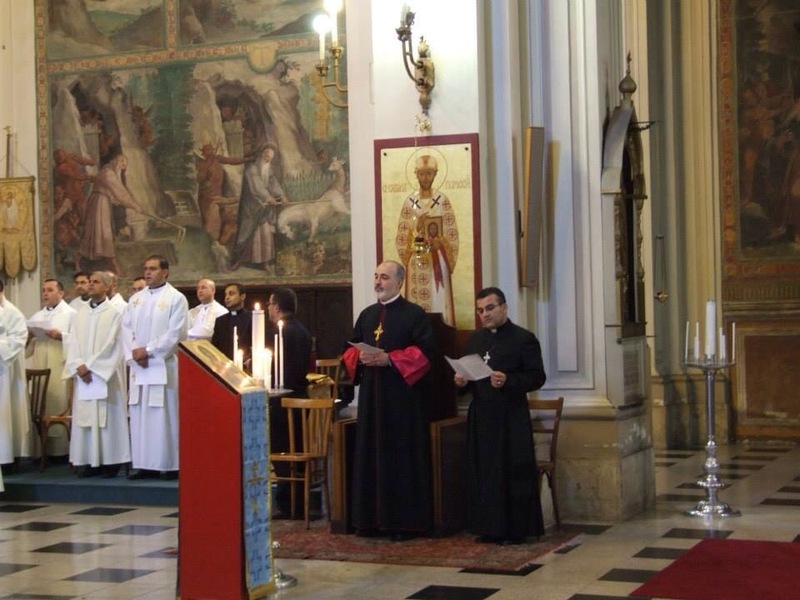 In response to an official invitation from the Rector of the Pontifical Oriental Institute in Rome for the opening of the 2013/2014 academic year, His Grace Mar Awa Royel, Bishop of the Assyrian Church of the East, Diocese of California and Secretary of the Holy Synod was commissioned by His Holiness Mar Dinkha IV, Catholicos-Patriarch to officially represent the Church at the academic function. Arriving in Rome on Tuesday, October 22, 2013, His Grace accompanied by his secretary and Mar Zaia Cathedral parish priest Rev’d Fr Genard Lazar, were received at the Pontifical Russian College in Rome, where accommodations were prepared by the rector of the same college, with the aid of Fr Claudio Ciubotariu SJ. Distinct arrangements for His Grace to participate at the General Papal Audience on Wednesday, October 23, 2013, with designated seating in the ‘Sagrato’ section prepared by the offices of Bishop Brian Farrell, Secretary of the Pontifical Council for Promoting Christian Unity. His Grace was personally greeted by His Holiness Pope Francis, and met the President of the Senate of the Dominican Republic along with his consort at the completion of the program. At this moment His Grace conveyed a brief message of fraternal greetings from His Holiness Mar Dinkha IV to the His Holiness Pope Francis, who gladly received the kind and humbling gestures. 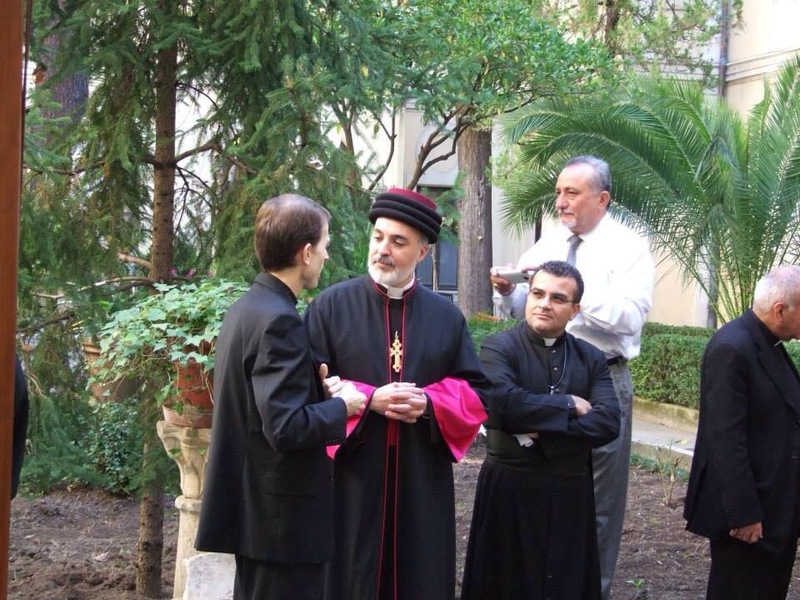 On Thursday, October 24, 2013, Rev’d Fr Tyari Awishalem and Rev’d Fr Ephram Khoury, priests of the Assyrian Church of the East currently studying in Rome, cordially met with His Grace apprising him of the progress of their higher theological studies. On Friday, October 25, 2013, His Grace the Bishop and Rev’d Fr Genard met with His Excellency Bishop Brian Farrell and his Secretary Rev’d Fr Gabriel Quicke, of the Pontifical Council for Promoting Christian Unity, and discussed preparations for the upcoming official visit of His Holiness Mar Dinkha IV, Catholicos-Patriarch, to the Vatican in order to offer felicitations for the election and installation of Pope Francis as Bishop of Rome. 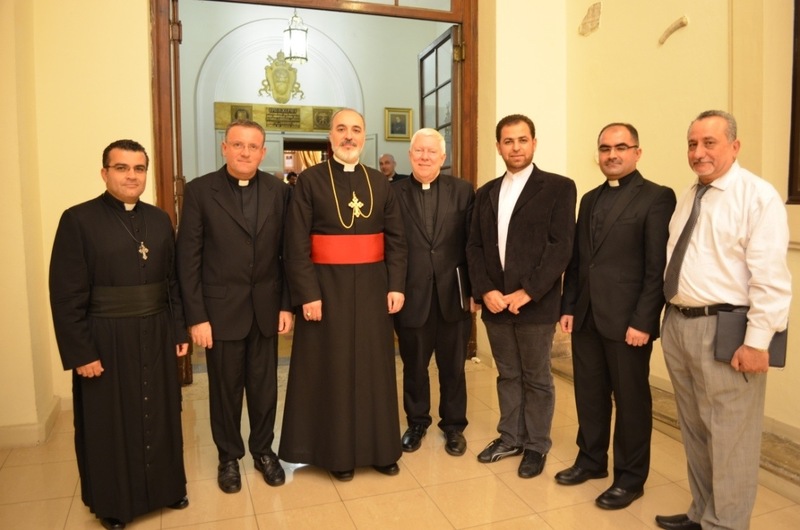 Further discussion were made on the progress of the commissioning of committees to once again, by the grace and will of God, resume official theological dialogue between the Holy Apostolic Catholic Assyrian Church of the East and her Sister Church, the Roman Catholic Church. On the same day, in the afternoon, Rev’d Fr Ephraim Khoury hosted His Grace and his entourage at his place of residence, the Pontifical Beda College, where the Director of Spiritual Formation officially welcomed His Grace and Rev’d Fr Genard, and invited them to share a meal with the students of the college. While in Rome, His Grace capitalized on the opportunity to carry out research on a number of significant documents relating to the history of the Assyrian Church of the East in the years 1552-1553. 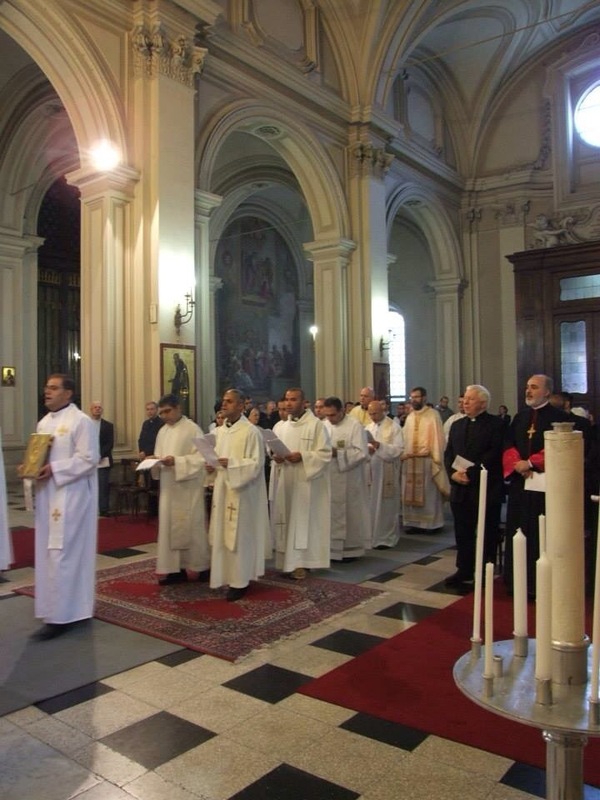 On the official function of the opening of the academic year at the Pontifical Oriental Institute, His Beatitude Mar Louis Raphael I Sako, Patriarch of the Chaldean Catholic Church, celebrated the Holy Liturgy according to the Chaldean rite, on Saturday, October 25, 2013, at the church of Pontifical Russian College, promptly at 9:00 am. His Grace the Bishop accompanied by Rev’d Fr Genard and Rev’d Fr Ephrem Khoury both participated in the liturgical service. 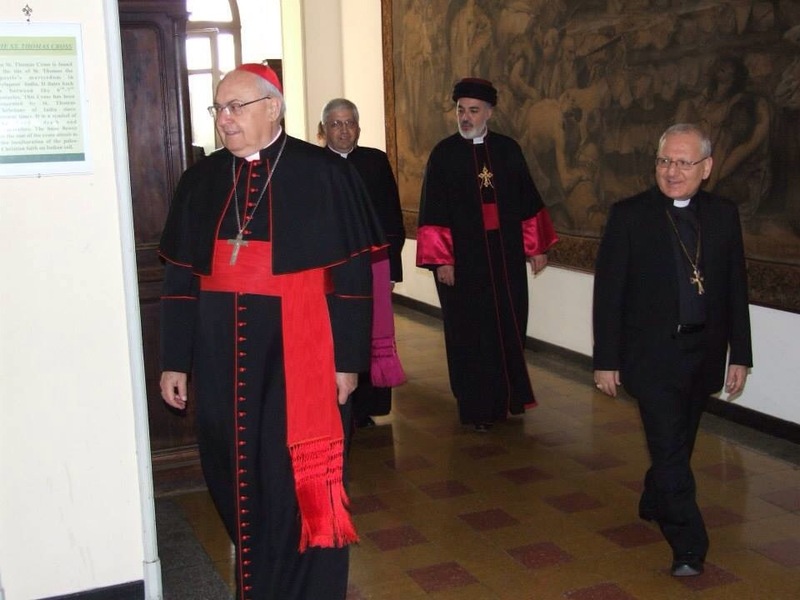 Following the conclusion of the patriarch’s liturgy, His Eminence Leonardo Cardinal Sandri, the Cardinal Prefect of the Congregation for the Oriental Churches, arrived at the Oriental Institute accompanied by aides from his dicastery. A formal opening of the academic year took place with a number of speeches given at the ‘aula magna’ of the Institute, which included the Rector of the Institute and the Cardinal Prefect. After the opening speeches, a reception was given in the courtyard of the Oriental Institute to His Beatitude, His Eminence, His Grace and all those present. Also present for the morning program were the Ambassadors of Romania and Slovakia to the Holy See. 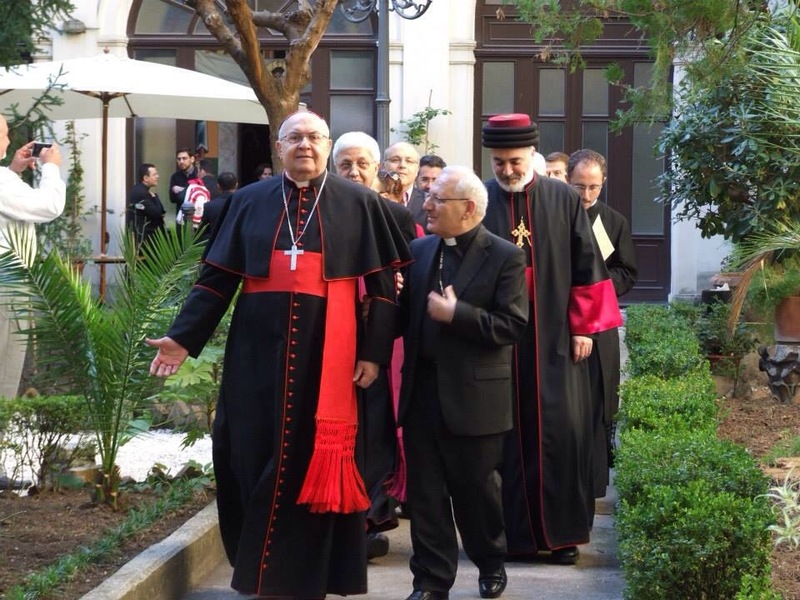 His Eminence and all the other official guests, including the patriarch and the bishop, joined the Jesuit community at the Oriental Institute for a festive lunch at their community refectory. 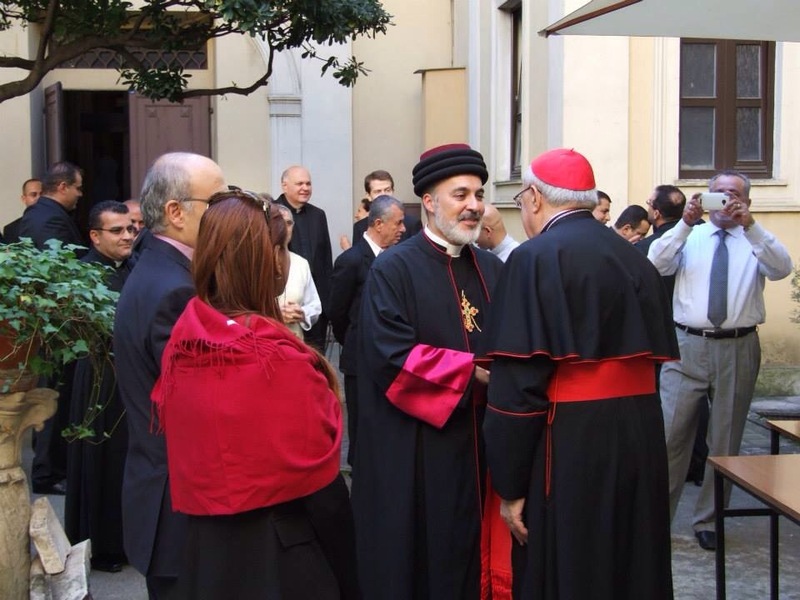 The cardinal encouraged and emphasized the significance of rapprochement between the Assyrian Church of the East and the Chaldean Catholic Church, an issue which has been made quite vocal by His Holiness Mar Dinkha IV and His Beatitude Mar Louis Raphael I Sako. After a brief period of retirement, the conference talks for the opening of the academic year commenced at the aula magna of the Institute. Present were His Beatitude Mar Louis Raphael I Sako, His Grace Bishop Mar Awa Royel, the rector and dean of the Institute, along with many other professors, students and guests. 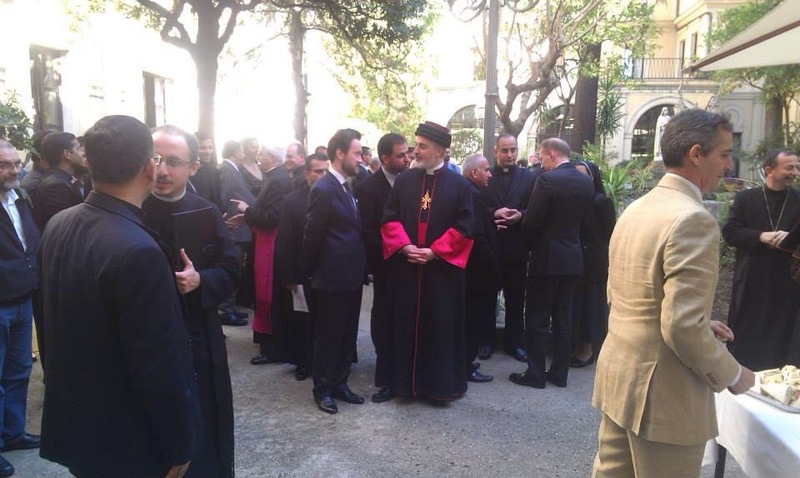 It is worth noting that the Ambassador of Iraq to the Holy See, His Excellency Habib Mohammad Sadar was also present and accompanied by his secretary. His Grace Mar Awa was able to exchange words with the ambassador on the present situation in Iraq. In conjunction with this conference was the release of the ‘acts’ of the International Congress on the Anaphora of Ss. Addai & Mari which took place in Rome in October of 2011. 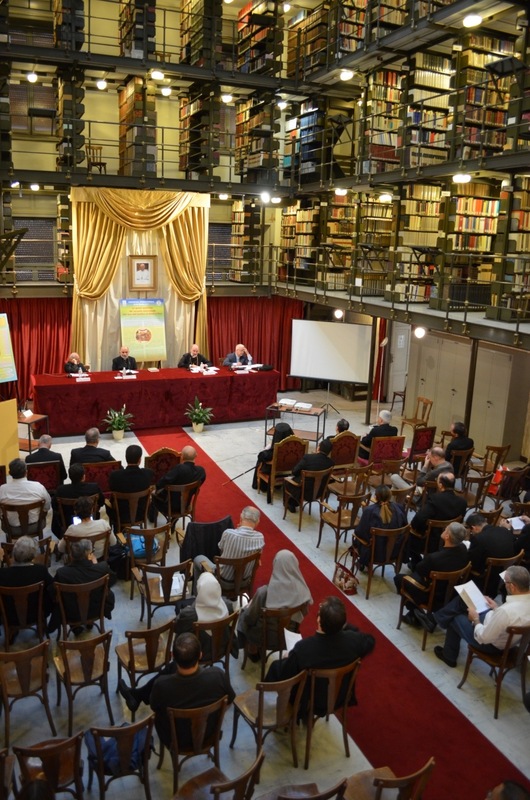 The international congress was co-sponsored by the Pontifical Gregorian University and the Pontifical Oriental Institute of Rome. 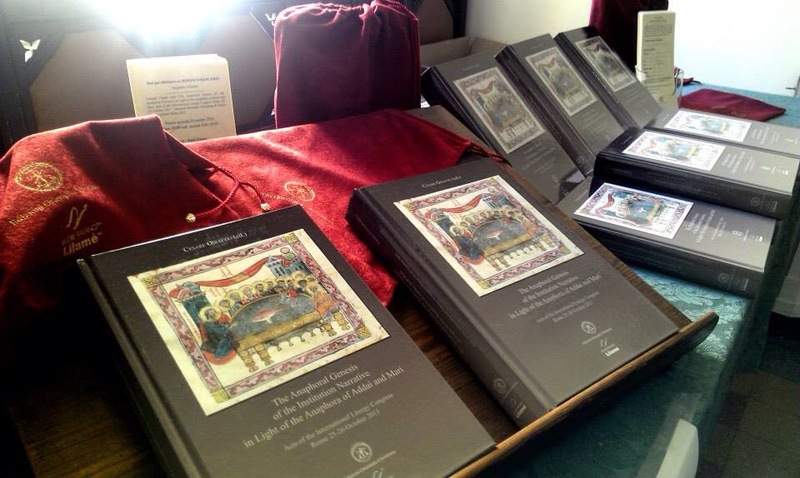 All of the presentations, papers and talks were published in the present volume titled: “The Anaphoral Genesis of the Institution Narrative in Light of the Anaphora of Addai and Mari” (in the publication series Orientalia Christiana Analecta 294), edited by the Rev’d Fr Cesare Giraudo SJ, professor at the Oriental Institute. This volume carries an official photo of His Holiness Mar Dinkha IV, Catholicos-Patriarch, as well as His Holiness’ felicatory letter read at the International Congress two years ago. The conference was officially opened by Fr James McKann SJ, the Rector, followed by introductions by Rev’d Fr Edward Faruggia SJ, Dean of the Faculty of Oriental Ecclesiastical Sciences, who presided over the afternoon and welcomed all present to the event, introducing the speakers and providing an outline of the program. 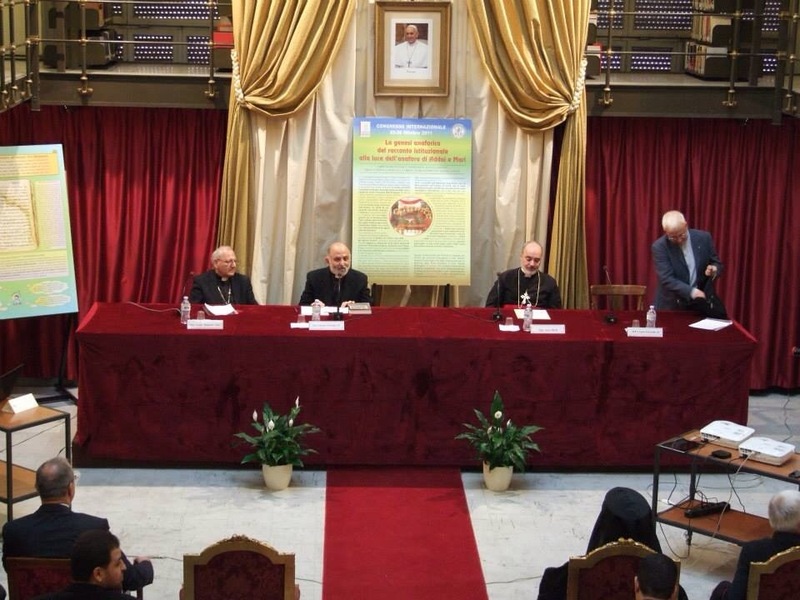 First, His Beatitude Mar Sako reported on the current political situation of Iraq and the daily struggles encountered by the Christians in the country and other surrounding Middle Eastern countries. Then, His Grace Bishop Mar Awa was introduced to present his paper titled: “The Pearl of Great Price: The Anaphora of Ss. 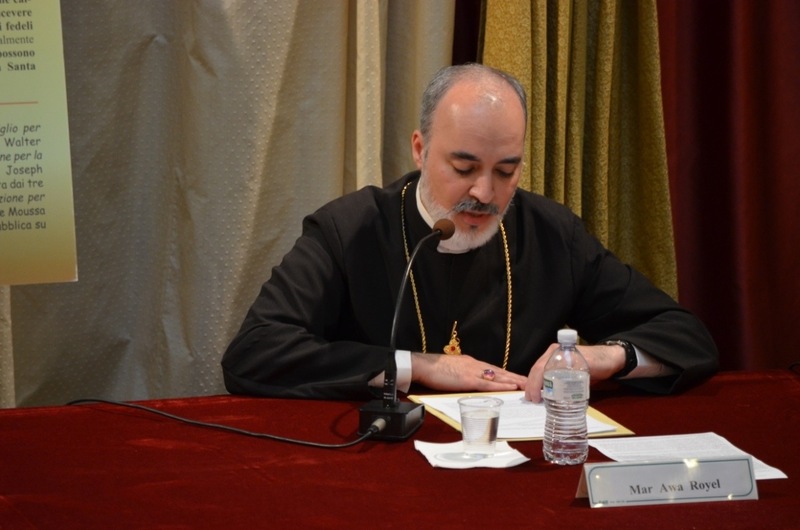 Addai and Mari as an Ecclesiastical and Cultural Identifier of the Assyrian Church of the East.” In His presentation, His Grace concentrated on the liturgical and historical importance of this most ancient anaphora of Christianity in the life of the Assyrian Church of the East—past, present and future. This ancient anaphora also has been, in a historical context, what His Grace has termed a ‘cultural identifier’ of the Assyrian Church of the East. Since the reception of Christianity by the Assyrians in Upper Mesopotamia, this ancient anaphora has been a part of both their ecclesiastical and cultural life. To a great extent, the anaphora ‘identifies’ who they are as Assyrian Christians, and points specifically to the Assyrian Church of the East and her rich liturgy and ecclesiastical history. After the conclusion of the conference talks, a number of students, priests and laity approached His Grace for further consultation on his topic matter. Both Rev’d Fr Tyari and Rev’d Fr Ephrem were present during the entire duration of the presentations. At the end of the academic program, a vote of thanks was offered by the dean of studies for all of the presenters.